River Jordan is a best-selling author, speaker and broadcaster. 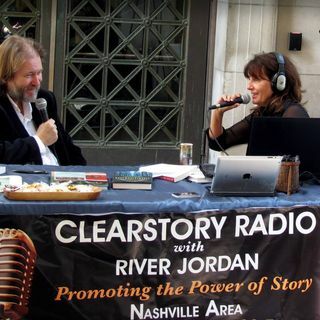 For ten years she has interviewed authors, song writers and all those who passionately promote the power of story! River Jordan in conversation with best-selling and debut authors about their writing, cosmic thunder and all things creative. From their latest creation to thoughts on the BladeRunner 2049 Clearstory stays current on the cultural, creative topics that influence our lives.